Carpentry repairs can take a toll on your time and your home budget, but they are very common jobs that inevitably crop up in every home. My Handyman OnDemand ensures that all your carpentry needs are attended to in an efficient, affordable and professional manner. 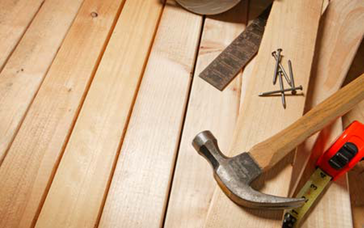 Our skilled carpenters are on call any time you need something fixed in a hurry. Whether you require a repair to an existing structure such as kitchen cabinets, crown molding or trim or looking for a brand new deck, closet shelving or fence, My Handyman OnDemand can help.